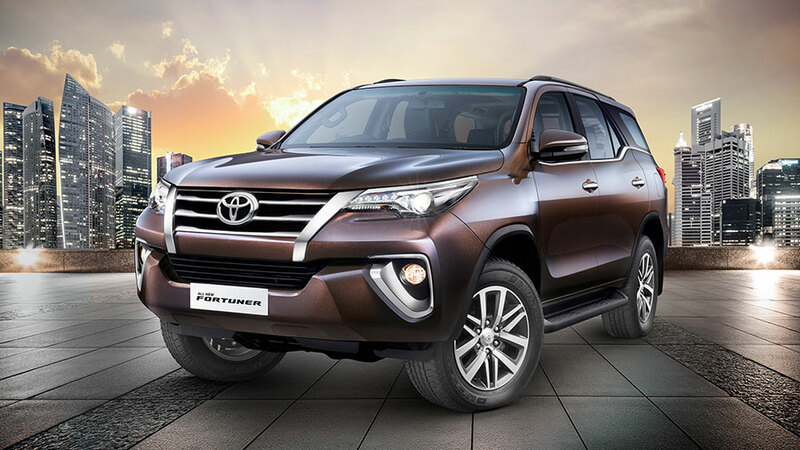 Toyota Kirloskar Motor (TKM) today announced the launch of one of the most anticipated products of the year – “The All New Fortuner”. The 2nd generation Fortuner with its tough and cool design comes loaded with enormous power, exceptional ride comfort, premium features and top-class safety & security which exudes the same level of dependability & drivability as the Toyota Land Cruiser. Priced in the range of Rs. 25,92,000 and Rs. 31,12,000 (Ex-showroom New Delhi), the All New Fortuner will be available in six grades. The New Fortuner comes with a new 2.8 L diesel engine with an All-New 6-Speed Automatic Transmission with sequential & paddle shifters and a new 2.7 L petrol engine. My entire development team was passionate about creating an ‘authentic SUV’, which we chose to interpret as a three-row, seven-seat Space Utility Vehicle (SUV). While this made it clear what was needed on the inside, we also knew that we needed a design that could be appreciated when viewed from the outside. Meanwhile, we discovered that customers find value in the pride of owning a vehicle with full-fledged 4WD capability as well. So even if they are just using it around town, we needed to enhance its 4WD performance. Fortuner is one of our flagship models and has won many hearts globally and as well as in India. Its massive road presence and unbeatable performance has helped make its way to become the undisputed market leader in its segment. The Fortuner has been a market leader in its segment with 70% market share ever since its launch in 2009 and is better known as a true SUV with powerful performance. A Fortuner customer is ambitious, accomplished and requires a vehicle for both weekend getaways and daily commute. This discerning individual desires a highly capable vehicle that serves as a reflection of their own success. Today, we at Toyota Kirloskar Motor are proud to say our new Fortuner underpins all of the above. The 2nd generation Fortuner is loaded with fresh design, comfort, performance, durability, fuel efficiency and versatility. On the outside, the new Fortuner represents a compelling design that suits the advanced taste of modern SUV buyers. Under the hood, our engineering team has ensured that the Fortuner is equipped with the most advanced all-terrain capabilities that will cater to even the most demanding customer. Bookings and deliveries of the all new Fortuner will begin today along with vehicle display & test drives in all Toyota dealerships across India. Available in two brand new colors- Phantom Brown and Avant Garde Bronze, the all-new Fortuner will continue to be available in the existing five colours- Super White, Attitude Black, Grey, Silver Metallic & Pearl White.